Criminal laws which empower the court to impose incarceration and other penalties. Civil infractions, such as refusing the Preliminary Breath Test (PBT). Search and seizure laws which allow a court to issue an order for a blood test. Implied consent laws (when a breath test or other test for alcohol or drugs is refused) which can result in points and license sanctions. Administrative laws which empower the Secretary of State to conduct implied consent and license appeal hearings. Appellate laws which allow a person to appeal an administrative decision to circuit court. Insurance laws which allow insurance companies to rate individuals that are convicted of traffic tickets and drunk driving. Immigration laws in countries such as Canada that prohibit persons from entry that have been convicted of a DUI. This ABDO LAW publication is based upon our extensive experience handling drunk driving cases in all Macomb County District Courts. Michigan’s drunk driving laws have evolved over the past 30 years. When the laws change, so does the terminology which is utilized by practitioners and the public. Our Macomb County lawyers find ourselves explaining the complex legal terminology to our clients that are faced with a drinking and driving offense. Drunk Driving: Under present Michigan law, the offense of drunk driving or driving under the influence of alcohol is known as “Operating While Intoxicated” (OWI). 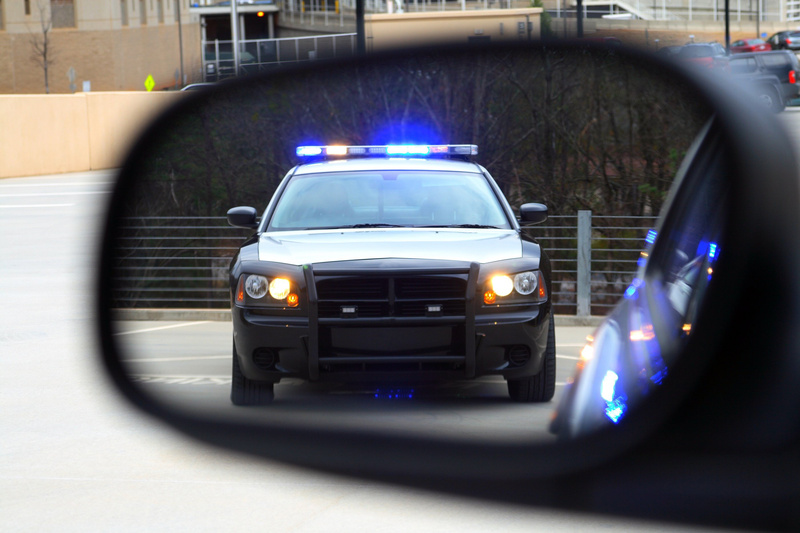 Under prior law, the act of “driving” a vehicle, as opposed to simple operation, was necessary to sustain a conviction of Driving Under the Influence (DUI). However, the abbreviations and terms OWI (Operating While Intoxicated), DD (Drunk Driving), DUI (Driving Under the Influence) and OUIL (Operating Under the Influence) are often used interchangeably to refer to the Michigan drunk driving offense of OWI (Operating While Intoxicate). When someone is charged with Operating With the Presence of Drugs, the abbreviation most often utilized is OWPD. To prove that the defendant operated while visibly impaired, the prosecutor must prove beyond a reasonable doubt that, due to the [drinking of alcohol / use or consumption of a controlled substance / use or consumption of an intoxicating substance / use or consumption of a combination of (alcohol / a controlled substance / an intoxicating substance)], the defendant drove with less ability than would an ordinary careful driver. The defendant’s driving ability must have been lessened to the point that it would have been noticed by another person. ESTIMATION: How long to eliminate alcohol from your system? The normal body will metabolize alcohol between .012 percent and .016 percent BAC per hour. Numerous other variables can influence the elimination rate of alcohol in the human body. Most charts that I have seen apply an elimination rate of .015 per hour. Therefore, a male weighing about 175 pounds who consumes 6 beers, containing 4.5% alcohol, within 3 hours would register a blood alcohol content of .08. It would take approximately 1 hour after the last alcoholic beverage was consumed to register less than .08 and it would take approximately 5 hours (0.0) to be completely sober. Impaired or Drunk Driving May Be Charged When Test Results falling Below .08! There is no automatic presumption that a person is “impaired” or “intoxicated” when the test results fall below .08. However, when the test results are less than .08, the police officer, or other witnesses, may provide testimony at trial regarding any conduct or objective signs of impairment or intoxication. Objective signs of impairment may include the following: odor of alcohol coming from the driver, red, watery eyes, erratic driving (weaving) and slurred speech. In addition, the police assess a driver’s ability to perform various field sobriety tests. Field sobriety tests are designed to test a driver’s balance and motor skills. Police may ask a driver to perform tasks such as walking heel-to-toe in a straight line, standing on one leg, or reciting the alphabet backwards. In addition to the testimony of the police or witnesses, the BAC test results are also admissible in evidence at trial to show alcohol consumption. Should I refuse the blood alcohol test if I am arrested for a drinking and driving offense? 1. The person loses his right to have an independent blood alcohol test. 2. The police may obtain a court order for a blood sample. 3. The person faces 6 points and license suspension for 1 year. 4. The person may be eligible to appeal the refusal in a circuit court proceeding. 5. Drunk driving charges will depend upon the results of the blood tests. 6. Additional independent license sanctions are imposed upon conviction for OWI or OWVI. Michigan’s Implied Consent law provides that a person arrested for operating a vehicle while intoxicated or impaired by an alcoholic liquor, a controlled substance, or other intoxicating substance or a combination thereof is considered to have given consent to chemical tests of his or her blood, breath, or urine for the purpose of determining the amount of alcohol or presence of a controlled substance or both in his or her blood or urine or the amount of alcohol in his or her breath. The police may obtain a court order for a blood test when confronted with a suspect that refuses a chemical test offered by the police. The right to take an independent test of your own choice (blood, breath or urine) is conditional upon first submitting to the test which is offered by the police. The right to an independent test is lost should a person that is arrested for operating while intoxicated refuse the test offered by the police. As I already mentioned, the police may obtain a court order for a blood test when a person refuses to voluntarily submit to a breath, blood or urine test. This means that the person will still face operating while intoxicated criminal charges when the blood test result is returned to the police from the testing facility. In addition, the person who has refused an alcohol test faces license sanctions by the Secretary of State. 1. Whether the peace officer had reasonable grounds to believe that you committed a crime described in MCL 257.625c(1). 2. Whether you were placed under arrest for a crime described in MCL 257.625c(1). 3. If you refused to submit to a chemical test upon the request of the officer, whether the refusal was reasonable. Refusals based upon failure to understand the law are not considered reasonable since we are dealing with an “implied consent” law. Again, the implied consent law means that you consent to the test by accepting the privilege to operate a vehicle in the State of Michigan. Other common refusals are known as technical refusals. A technical refusal usually means that the suspect gave an insufficient sample. An insufficient sample may occur when someone tries to fool the machine by not placing their lips tightly on the breathalyzer straw or by providing a soft or side blow into the machine. An attorney should be retained for representation at the implied consent hearing to fully explore all possible defenses. If the police officer fails to appear, or did not follow the testing protocol and procedure, the implied consent hearing will be resolved in favor of the petitioner. A person that loses an implied consent hearing faces license suspension for a period of 1 year and 6 points is placed on the driving record. A second refusal within 7 years results in a suspension of 2 years. This is a separate consequence from any subsequent convictions resulting from the traffic stop. No other person with in the household of the petitioner can supply transportation. Upon winning a hardship appeal, a restricted license is granted for remaining duration of the implied consent suspension. Hardship appeals are filed in the circuit court where the underlying offense occurred. In addition, most circuit court judges require a substance abuse evaluation for the hardship appeal. Made upon unlawful procedure resulting in material prejudice to the petitioner. Not supported by substantial, material, and competent evidence on the whole record. Arbitrary, capricious, or clearly an abuse or unwarranted exercise of discretion. DRUNK DRIVING PENALTIES: What usually happens if this is the First Offense, Second Offense, or Third Offense? Most drunk driving cases (90%) are resolved by a plea bargain rather than jury trial. First offenses are usually reduced to operating while impaired. Jail is rarely imposed for a first time DUI or impaired driving conviction. Insurance costs will increase substantially for any drinking/drugged driving conviction. Jail is mandatory for a felony (third offense) conviction for a minimum of 30 days, not 1 year. High BAC or Super DUI (.17% or greater) can also be reduced to impaired driving but may require a deviation request. Getting a drunk driving reduced to a non-drinking offense, such as careless driving, is possible but difficult and rare. A drunk driving or impaired driving conviction will preclude travel into Canada (see criminal inadmissibility). State of Michigan sanctions upon conviction for a drinking/drugged driving offense (points, license sanctions and driver responsibility fees are mandatory and not negotiable to lesser amounts or periods of time). Was the test result .17% or greater (resulting in a charge of High BAC or Super DUI)? Was there an accident resulting in personal injuries or property damage? Does the offender have any prior criminal record involving substance abuse or alcohol? Was the offender cooperative with the police? Does the offender have any prior drunk driving or impaired driving convictions? Did the offender commit any other offenses along with the offense of drunk driving such as fleeing the police or resisting arrest? Michigan Secretary of State link for drunk driving first, second and third maximum penalties. Fines and costs of $1,000.00 or more. Probation for period of 1 year which may be reporting or non-reporting. Random alcohol and drug testing in the discretion of the sentencing Judge. Possible counseling or attendance of 1 or more short substance abuse programs in the discretion of the sentencing Judge. Restrictions on out-of-state travel, subject to modification. MANDATORY: Driver responsibility fees of $500.00 each year for 2 years. MANDATORY: License restrictions for 90 days (employment, school, medical, court ordered activities allowed). MANDATORY: 4 points placed on driving record. SECOND OFFENSE: What happens if this is my second offense for drunk driving? Probation for up to 2 years. Possible jail, community service, vehicle immobilization. MANDATORY license revocation for a minimum of 1 year (NO DRIVING). MANDATORY driver responsibility fees of $1,000.00 each year for 2 years. MANDATORY: 6 points placed on driving record. This does not mean that all second time offenders get jail. In fact, we have avoided jail for the majority of our clients that are subject to sentencing as a true second time offender. I would say that the greatest chance of getting some jail time is reserved for third time offenders that get the charge reduced to a second offense. Getting a client in counseling at the earliest stage of the proceedings, attending AA meetings and maintaining sobriety can make a huge difference at the sentencing phase of the court proceedings. DUI 3rd reduced to DUI 2nd: Another second offense scenario exists where the offender is charged with a third offense (felony) but the charge is reduced to a second offense (misdemeanor). ABDO LAW has previously published an article which covers a third lifetime offense for drinking/drugged driving. Please refer to the link for further information regarding third time/felony DUI. Prior DUI more than 7 years old: Another second offense situation exists where the offender has a prior drinking/drugged driving conviction that is more than 7 years old. An offense that is greater than 7 years old cannot be used for purpose of sentence enhancement. However, it may remain on a person’s record and be visible to the prosecutor, probation officer and Judge.An offender that has a prior offense which is more than 7 years old is not “getting away scot-free” but will avoid the mandatory license revocation component and will face sentencing under the first offender laws with some concern placed upon the prior record of the offender. Generally, older offenses have less impact than more recent offenses. For example, an offense which is 8 years old will be more relevant than one which is 20 years old. Being charged under Michigan’s drunk driving laws can be devastating emotionally, financially and personally. We are here to help you through this difficult time, manage your case from beginning to end and obtain the best outcome possible based upon our 35 plus years of experience and reputation.